Our engineers specializing in renewable energies know all valid rules and regulations necessary to design the safest, most efficient and most economical installations. Projects or project specifications are elaborated by licensed engineers, and duly stamped and validated by the corresponding official engineering association. Upon request, the responsible engineer also takes care of construction management, administrative processing through Unelco Endesa, undertakes all necessary steps to have the project or project specifications legalised by the Ministry of Industry, and arranges for the coordination of and search for an accredited inspection authority, should this be required for the legalisation. 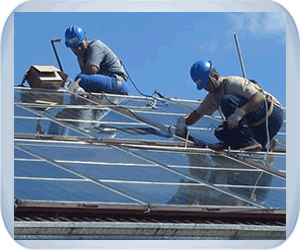 Photovoltaic installations applied to the electricity generation for private houses, water pumps, energy sale etc. Thermal solar power installations applied to sanitary hot water production, swimming pool climatization etc. 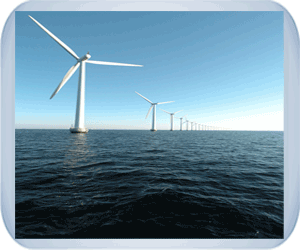 Wind energy installations applied to electricity generation, water pumps, energy sale etc. Please contact us for a free and non-binding quote regarding renewable energy projects. Please don't hesitate to contact our engineering department in case you have any questions regarding our renewable energy projects.